Recently, we reported on the intriguing possibility of Michael Bay’s Transformers: The Last Knight having a connection to the medieval legend of King Arthur. Many fans have speculated this would indeed be the case after the film’s official title announcement as well as the set photos and videos from Scotland. Now, it looks like the rumors may be true. According to an exclusive report from Mashable, King Arthur is being cast. Interestingly enough, there’s already an actor in talks for the role: Liam Garrigan. 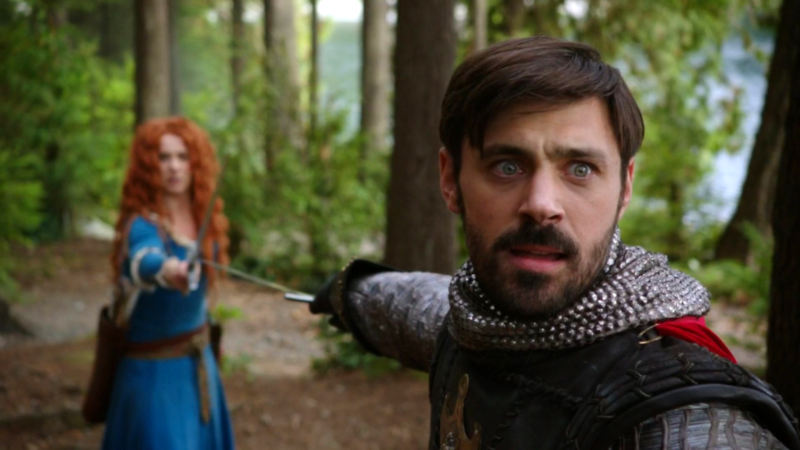 Fans of the ABC series Once Upon a Time may recognize Garrigan for portraying King Arthur on that show. Obviously, if Garrigan is cast, both Transformers and Once Upon a Time would not share the same continuity (but come on, how insane yet cool would that be?). Now that the fictional medieval characters of King Arthur and Merlin seem to have a part in the fifth entry of this franchise, the connection of that legend with the Transformers seems to be ripe for at least a flashback sequence. Maybe the film begins with a prologue involving King Arthur, but as of right now no specific details on the context of the legend’s role in the story are known. Directed by Michael Bay and starring Mark Wahlberg, Josh Duhamel, Tyrese Gibson, Isabela Moner, Laura Haddock, Jerrod Carmichael, Gil Birmingham and Anthony Hopkins, Transformers: The Last Knight opens in theaters on June 23, 2017. What kind of f’d up typcasting is this? The man will be playing Arthur for the rest of his days! They should do a Turtles / Transformers crossover movie and finally get rid of the human characters in the Transformers series. Seriously how does Marc Walberg even fit in a movie that is going back into time that much? This movie is going to be another 3 hour snoozefest. Noah, I think your autocorrect is broken. It seems to have erroneously replaced “inexplicable” with “intriguing” in the first paragraph.